Project Assurance specializes in customized developmental and implementation of comprehensive Management and controls procedures for both plant turnaround and capital projects. In addition, we have developed structured management processes to efficiently plan, manage and execute plant turnaround and capital projects. TARMAP is a high performance and systematic approach to effectively plan and efficiently execute plant shutdowns and turnarounds. TARMAP blends the best turnaround management processes, practices and planning techniques in a logical sequence, and creates a smart work environment, in order to consistently facilitate World-Class Shutdowns and Turnarounds. To Consistently Achieve World-Class Performance on All Company Shutdowns and turnarounds Irrespective of their Size, Location and Complexity. Addresses the fundamental root causes of inconsistent and lacklustre turnaround performance. Provides a high performance solution to an inherently troublesome plant management function. Dramatically improves company’s Turnaround Management Capabilities. 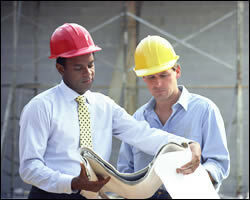 Project Assurance Specializes in the development and implementation of Customized Turnaround Management Procedures. These procedures provide a highly effective vehicle to train staff in company’s systematic approach to plan, manage and execute plant Shutdowns and Turnarounds. Project Assurance’s staff ensures that the best practices, processes and modern planning techniques are incorporated in the company’s Turnaround Management Procedures.